Next time you walk down a high street in the UK, I want you to take a moment to count the number of bookies you see. Once you become aware of them, I guarantee you will see them everywhere. Paddy Power, William Hill, Ladbrokes, Betfred… The list goes on. One high street in East London has 18 betting shops, the highest in the country. Next time you watch a game of football, count the number of betting adverts, either aired in the break or sponsoring the team. Betting “for the love of the game,” “win big,” “cash out,” “free bets.” Football has become synonymous with gambling. According to a recent report, 95% of TV advertising breaks during live UK football matches feature at least one gambling advert. And this is so standard that many of us barely notice it. Now, take a moment to notice how gambling is actually all around us. Slot machines, online bingo websites, betting apps, scratch cards, the National Lottery, the Euromillions… It is everywhere. It is a huge money maker for the betting companies and it is an addiction that its victims cannot escape. While we still have a long way to go, education surrounding drug and alcohol addiction and rehabilitation services are available. But when it comes to betting, it is so normalised that many people still don’t realise that gambling addiction is a very real and potentially life-destroying disease. 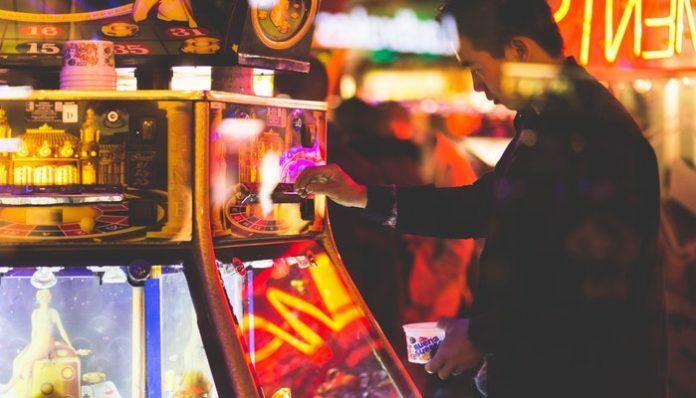 About 430,000 people in the UK are deemed problem gamblers, and when you include those at risk from becoming addicts that number rises to 2 million. This is a very real problem. It is a disease which takes your money, destroys your relationships, and seriously compromises your mental health. And yet, shockingly, there is very little help on offer for those who need it. There is only one dedicated gambling addiction clinic in the UK, and the waiting list to get into it can be a year long. Until recently, I was personally very unaware of the addiction and the huge scale of the problem. Now, having witnessed the pain of someone who is in recovery, the constant temptations, the inescapable advertising, I cannot begin to imagine how hard it must be to fully recover. It really is everywhere, and while there are restrictions on advertising of alcohol and cigarettes, quite frankly, not enough is being done to control advertising of betting websites. While change is beginning to happen, ultimately, companies like Skybet make huge amounts of money from betting, so getting them to listen will be a monumental task. Anyone can be a gambling addict; whether it is the old man down the bookies for 8 hours a day, the football fan who doesn’t watch the game but spends his time betting instead, the student who is addicted to online bingo, your friend who spends hours on the slot machines at the pub, or the woman who buys scratch cards, and lottery tickets every day. It is a long road to recovery but with more awareness and better recognition of the problem we might help more people start their journey.